Was Paul “converted” to Christianity? There is a problem with this question, since it implies he more from one religious belief to another (perhaps as a Catholic might “convert” to Protestant, or a pagan might convert to Christianity.) What the question really asks is – “how much of Paul’s worldview changed on the Road to Damascus?” When we examine Paul’s own theology and compare it to Pharisaical Judaism, the status of his “conversion” is less obvious. It is possible to describe Paul as a Pharisee who now believed Jesus was the Messiah. Who was working out the implications of this new belief while doing an evangelistic ministry. Yet there do seem to be major breaks with Judaism, especially in the treatment of Gentile converts. What Paul is preaching is not really a sub-set of Judaism, whatever it may appear in the earliest years. For this reason, many prefer to think of Paul’s experience as a “calling” to a prophetic ministry (“the light to the Gentiles”) rather than a conversion from Judaism to Christianity. It is important to notice Paul’s description in the letters of his calling – he is given a commission by the Lord to do a specific ministry and some sort of revelation by the Lord directly which is unique to him. Galatians 1-2 makes this quite clear – he is called an Apostle because of a revelation from God, not by the appointment of men. The traditional view of Paul’s conversion is that he underwent a spiritual and psychological conversion. Paul’s description of the “wretched man” in Romans 7:7-25 is important here. Does this text describe Paul’s struggle with sin prior to his conversion? Is this a recollection of his own spiritual and psychological reversal at conversion? If the answer is yes, the Paul is described in the traditional view as a Pharisee who struggled with his sin and the guilt from not being able to keep the Law. His conversion releases him from the weight of the guilt of his sin; he experiences justification by faith and converts from Judaism to Christianity. The traditional view that Paul struggled with keeping the Law for a long time before meeting the Resurrected Jesus is rightly criticized for important later theological questions into Paul’s conversion. Critics of the traditional view often note that Paul’s experience is described in terms of Augustine’s conversion or Luther’s. Both men found their experience parallel to Paul’s and meditated deeply on what God did in their lives to release them from the weight of their guilt. Their conversion experience colored their theology of salvation. Since Augustine and Luther are massively influential theologians, their view of Paul’s conversion has influenced later theology. While I believe Paul was a sinner, is there any real evidence that Paul struggled with legalism other than the very difficult text in Romans 7? Not really, he seems to be fairly confident in the standing before God prior to his encounter with Jesus in Acts 9. Are there other elements of the story in Acts 9 which might help us understand Paul’s “conversion”? ← Why did Saul Persecute the Jewish Christians? I do see the implications of saying that Paul was “converted” to Christianity. I would be interested to find out if Christianity had become its own religion then, or if the apostles and others were simply calling themselves followers of Jesus and proclaiming that the Messiah had already come. I am curious if during this time the Jews (and later Gentiles) were realizing that Jesus was the Christ; the Messiah had come and through later revelation to Paul, people no longer needed the Law to be saved. I think that Paul realized that Jesus was the Messiah, and throughout his time and missionary journeys, God revealed to Paul that salvation comes through faith and God’s grace alone. Judaism was still relying on following the Law since they believe(d) that the Messiah had not yet come. As to the question of evidence that Paul struggled with legalism is Philippians 3. He says that he was all into legalism and confident of his standing, but now he “counts that as loss.” I believe that before Paul’s “conversion” he felt confident in his standing before God, but afterwards, realized that it is not works of the Law that matter, but salvation through grace and freedom in Christ (Galatians). We could possibly say that Paul was like Peter, in Acts 15:10, and who says that there should be no ‘yoke’ like circumcision and/or keeping the Law of Moses,placed on Gentiles, WHICH NEITHER OUR FATHERS NOR WE WERE ABLE TO BEAR. That seems to say, no one in Judaism could keep the Law 100%, yet, on the other hand, Paul could say in Philip.3:6, that touching the righteousness which is in the law, blamless. But this would be a relative ‘righteousness’ and a relative ‘blamelessness’, since it would not be that 100%, as above, but the keeping the law, when sinning, by the sacrifices IN THE LAW. So, Paul had no problems with legalism before his encounter with the Lord in Acts 9. However, he may have had problems with what he was doing in Acts 8-9, because in Acts 26:14,it states, ‘It is hard for thee to kick against the pricks.’ During this time, Paul may have started to have some second thots on what he was doing.???? To say that ‘Christianity’ starts when you accept/confess that Jesus is the Christ, then, that was happening in the Gospel records. But that was a basic promise to Israel, not Gentiles. Paul progresses in his knowledge of Jesus as the revelation progresses/increases. cf. Acts 26:16- The Lord appeared to Paul with ONE PURPOSE, but a two-pronged purpose-to be a minister and a witness BOTH of these things, which thou hast seen, AND of those things in which I will appear unto thee. He basically, learned in Acts 9, that Jesus was the Christ/Messiah, and so he would/could still remain a Pharisee then ( but Pharisees might not be accepting him ). I believe that Paul was extremely confident before his conversation that he was doing what God had called him to do. He did not suffer with sin because of the law “…as for righteousness based on the law, faultless” (Philippians 3:5-6). Paul believed himself to be an ideal Jew, faultless under the law and persecuting those who went against the law with zeal. But this changed extremely as Laura pointed out when Paul said after his conversion that he considered all these things as a loss. It was not till after where Paul realized that he had been completely wrong by persecuting those who followed Jesus. What I find extremely interesting is to see the radical change that Paul goes through in such a short time. Jesus appeared to him and within a few days Paul gave up what had defined him for so long, the Law. Paul starts to teach a new doctrine that does not require the law, and he does not wish the law on others. He left the law and did not protest as other Jews who came to believe did, and what is so cool is to see Paul bring the message to the Gentiles. Those who the law had condemned as heathens and that Jews could not eat with. Paul changed in two ways that he had been living by for his whole life without any kind of objection. I guess even though I knew that Paul was very religious before his “conversion” (Phil 3:5-6), I never thought about the fact that it would make it not so much a conversion but more of a change in beliefs. I liked that you related it to “converting” from Catholicism to Christianity rather than what we would more often think of such as Muslim or Atheism to Christianity. Would it be possible, too, to look at Saul as a Christian or Jewish extremist in today’s terms and then to say that he “calms down” or becomes a Christian that does not have a need for the violence like those in his extremist past, but instead a need for grace, mercy, and love? When thinking about the conversion of Saul, I used to look at him as just a down right bad man who was killing the Christians who were preaching a raisen Messiah and salvation because he could, I never realized “how deep the hole went” in a sense. I really understood that Saul was a Jewish man who was under the impression that he was doing right in the Lord’s eyes. I can see, that like many other jews, Saul was shaken up when he realized what was going on. He now understands that he needs to do the Lord’s will, but not in the way he had once thought right. So yes, perhaps it is like what “notcrudd” said above, maybe Saul just calmed down and began to realize how he was really suppose to do the Lord’s work. Maybe there is some truth to the fact that Paul was remorseful over his guilt. When Paul began persecuting Christians, he was doing so because he believed that the way to salvation was by keeping the Law. As a prominent religious figure – if he could not even keep the Law, what does that mean for others who are among his presence? I believe that maybe his guilt arises even deeper after his conversion on the Damascus Road when he realizes what he has done wrong; that what he was doing was not of the Lords work.At that time, he recieves his true calling given by the Divine Spirit – to preach the Good News of Jesus Christ. Saul’s conversion in acts 9 is defiantly not “Saul converting to Christianity’. First off, Christianity in and of it had not even really begun at this point. Secondly there is a lot of evidence that Saul was a devote Jew follow the Law and believed that his standing before his conversion was more than exemplary. Though, I believe that there was a strong shift in Paul’s theology when he was ‘converted’. Paul had to re-examine all of his action based on Jesus Christ not being a messiah and in that case his life before his conversion was bleak at best. Paul was a lying murderer at least. This strong oppression that he puts on the early Christians is by far a heavy weight to bear after his conversion. Paul now believing in Jesus Christ has a whole new approach on life and how he conducts himself and I believe that is part of a bigger change in his heart. Before I think all Saul cared about was the law and now he more fully understood that the Law was less important than a relationship. As I read though acts 9, I thought about Paul’s “conversion” not in the sense of today’s meaning (like conversion from Catholic to protestant, like P.Long talked about). But more like an “unveiling” of the truth. We see the physical representation of this in Paul’s blindness. “Although his eyes were opened, he saw nothing” (9:8). I like the analogy of an “unveiling” because it is not a complete changing of paths. Like it says in the post, “It is possible to describe Paul as a Pharisee who now believed in Jesus as the Messiah.” I do not think that is how I would explain it, but it gets the point across that Paul’s conversion was not a totally upheaval of his previous theology. The blindness analogy goes further when the text says, “So they led him by the hand” (Acts 9:8). If the analogy means that he was always spiritually blind to the truth, maybe this was because he was “lead by the hand” of his rabbis. In class we talked about Paul possibly already having difficulty resisting the Gospel, so perhaps this is more evidence that he turned off his heart, and allowed his elders to lead him blindly. I love what Hilary said about his eyes being unveiled and was thinking about his conversion in a similar way. Saul turned Paul was a sinner and not just because we are all sinners and I think that even though its clear he was trying to keep the law as were the other Pharisees, they were still sinners for rejecting the Messiah and killing him. When Saul realizes his mistake and on the Damascus Road “converts” meaning he believes in the Messiah, he isn’t changing his whole religion. He is being chosen by God to go to the Gentiles and I can imagine the Pharisees being confused how he could switch from being completely against Christ to his number one guy. Saul went from killing Christians to bringing them the Gospel. This could be the change that is head knowledge and he grew up with it and learned it his whole life and then to Heart knowledge when God changed his heart and he understood finally everything that he had read and was told. Now Paul was an instrument as it says in verse 15, and all the suffering he had inflicted upon the early followers was going to be brought in perspective cause he “would learn to suffer” for the namesake of Christ. This is very powerful. And at the end of chapter 9 it is clear he was making serious changes because right after the scales fell from his eyes, he was baptized. then he ate. He didn’t eat first, and this little detail surprises me because i would think that he would eat for strength and ponder what had happened but then again, I have not seen the face of Jesus Christ or the “Glory of the Lord”. He immediately was baptized and this is probably what the Christians were hoping was almost a sign or commitment to his change of heart and nature. Or at least that’s what I have always thought in my mind. Good chapter though. 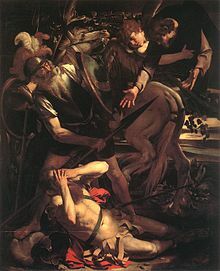 Regarding Saul’s conversion I too think that it is not as black and white as some may believe. This is because like the post describes, “There is a problem with this question, since it implies he went from one religious belief to another.” Saul’s conversion was not this simple because in fact he did not go from one religion to another but he maintained key fundamental beliefs that he previously had before his conversion. This is because Paul still believed that God was still the God of the Jews the same God that gave Moses the law (Schnabel, 127). That being said there were also key fundamental changes that took place after Saul’s conversion, for example Saul believing that Jesus was indeed the Messiah. Similar to what is discussed in the post I too think that Saul’s experience should be classified as a calling instead of a conversion. This is because the bigger and more important picture I believe is not that he was transformed from Jew to a Christian but that now he was called to minister to the Gentiles. Ministry to the Gentiles was something that was in a sense revolutionary to Christians and Jews alike because ministry and missions to the Gentiles was thought to be unnecessary. This calling is truly amazing because here is Saul the man that hated the Gentiles and believed that they were not worth ministering to, and then he was called to be the very person chosen to minister to them (Acts 9:15). I believe that Saul’s calling to the Gentile reveals Gods magnificence in Saul’s conversion because God is using the man that people knew as a Persecutor of Christians, a man that had a bad reputation to say the least, to spread the name of Christ to the unsaved. I think that this should be encouraging to us as Christian because if God wants to use a man like Saul how much more can he use us for his kingdom?